SANTA CLARA, Calif., November 9, 2011 – Inphi Corporation (NYSE: IPHI), a leading provider of high-speed analog semiconductor solutions for the communications and computing markets, today announced it will engage with Sumitomo Electric Device Innovations (SEDI) to develop solutions for 100G CFP optical modules. These next-generation CFP modules will enable higher density 100G line cards by taking advantage of Inphi’s CMOS PHY technology that offers substantial savings in power - 3x less than current available offerings. SEDI has agreed to utilize Inphi’s recently announced 100G CMOS Gearbox IC design in one of their 100G CFP platforms. 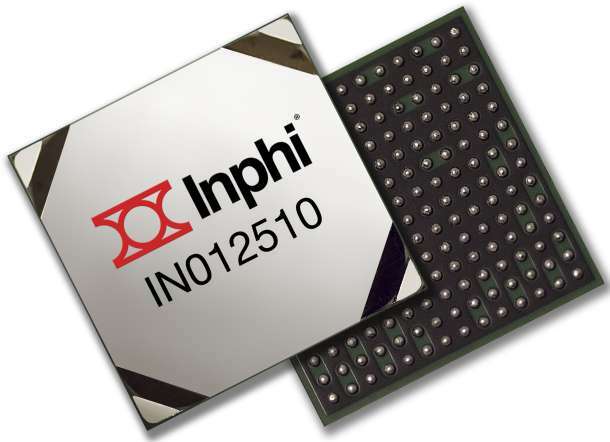 Inphi will provide high-speed signal integrity expertise, software link-analysis tools and the industry’s leading 100GbE CMOS PHY solutions with lowest power and highest levels of integration. SEDI, with its long history of success in optics, is committed to the success of the CFP design utilizing CMOS technology. SEDI, one of the founding members of the CFP MSA, will work with Inphi’s physical layer solutions in conjunction with its optical sub-assemblies to design and manufacture the 100GbE CFP modules. Sumitomo Electric Device Innovation, Inc. (SEDI), a subsidiary of Sumitomo Electric Industries, Ltd., was launched as a new company in August 2009 by integrating the wireless and optical transmission device business of Eudyna Devices, Inc. and Sumitomo Electric. SEDI designs and manufactures optical/wireless components and subsystems for telecommunication, CATV, broadband data communication and wireless transmission. SEDI is one of the world’s leading companies in the optical communication components market, while also providing various solutions in other areas such as mobile communication, consumer-use application and automobile markets. nphi Corporation is a leading provider of high-speed analog semiconductor solutions for the communications and computing markets, providing high signal integrity at leading-edge data speeds that are designed to address bandwidth bottlenecks in networks, minimize latency in computing environments and enable the rollout of next generation communications infrastructure. Inphi’s solutions provide a vital interface between analog signals and digital information in high-performance systems, such as telecommunications transport systems, enterprise networking equipment, enterprise and data center servers, storage platforms, test and measurement equipment and military systems. To learn more about Inphi, visit .